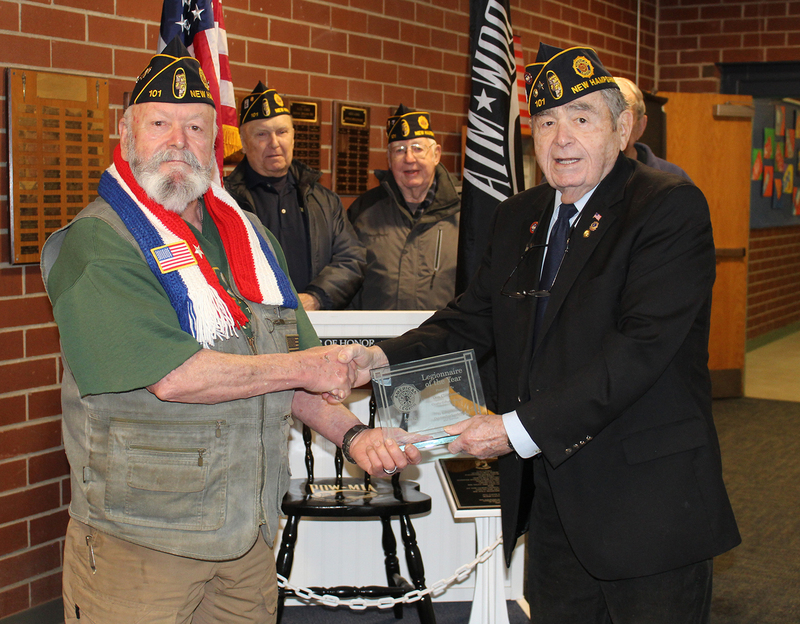 Commander Bill Leber, (right front) honored Don Clendenan (left front) as American Legion Post 101’s Legionaire of the Year. The photo is taken in front of the POW-MIA Memorial presented recently to the town, a project which Clendenan was instrumental in bringing to pass. Also present were Ronald Evans and Lloyd Perreault. 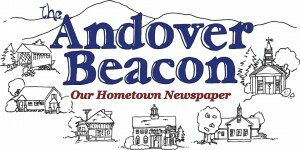 At its meeting on January 15, Crosby-Gilbert Post 101 Commander Bill Leber named Don Clendenan the Legionnaire of the Year 2018 for his leadership and extraordinary effort to design and build the POW-MIA Memorial which was donated to the Town of Andover recently and placed at the Andover Elementary Middle School. In addition, Don has been instrumental in developing a float for the town 4th of July parade for recent years and assisting in the Flag Day disposal of worn and unusable flags. Don Clendenan has served as Post 101 Chaplain since the post has been reactivated and is present at all post meetings. “For those reason and because Don has been a dedicated and enthusiastic veteran who is willing to serve the Post 101 projects, it is my honor and pleasure to present the Legionnaire of the Year 2018 award to Don Clendenan” stated Leber at the presentation of the award.